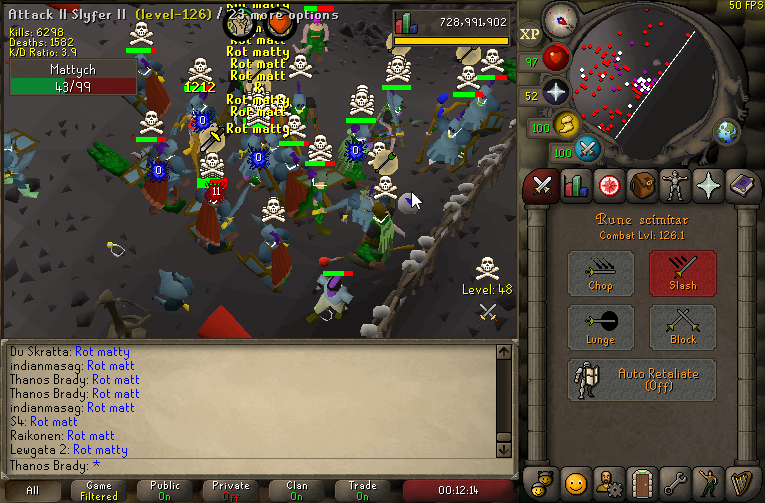 We received intel that VR planned on stepping into F2P. 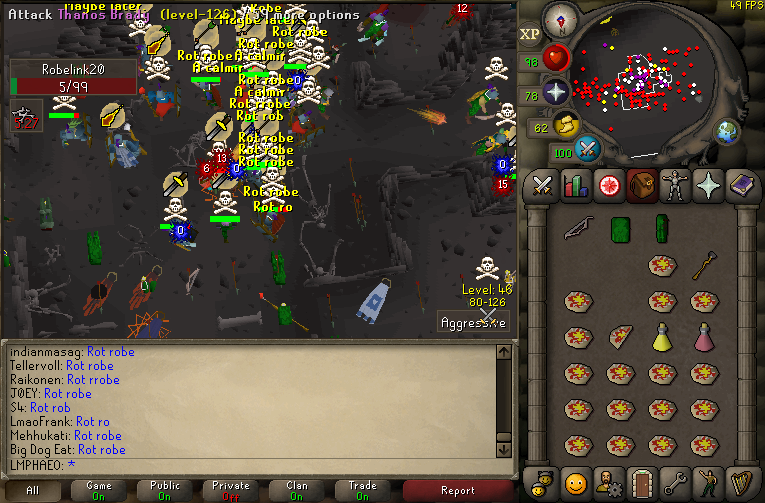 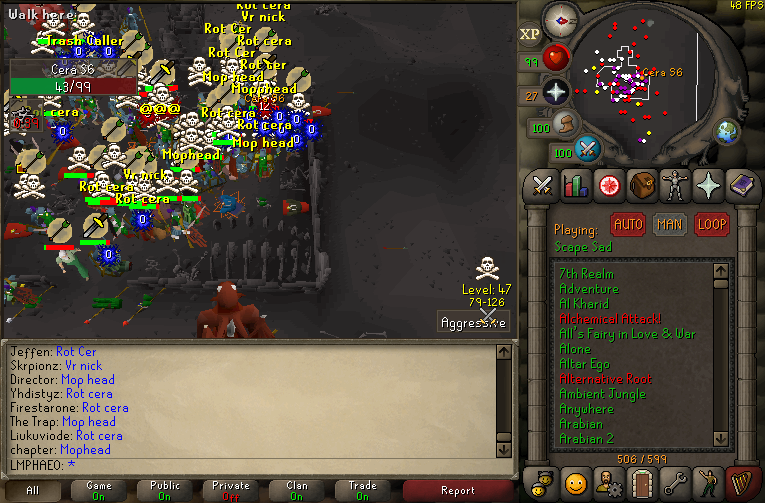 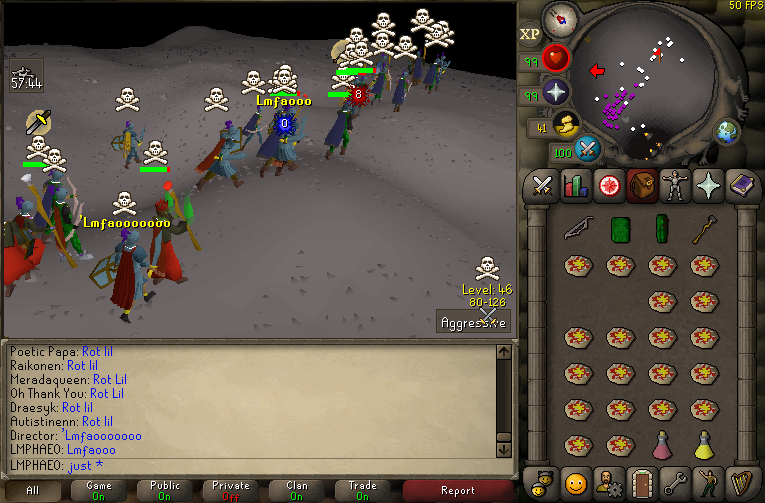 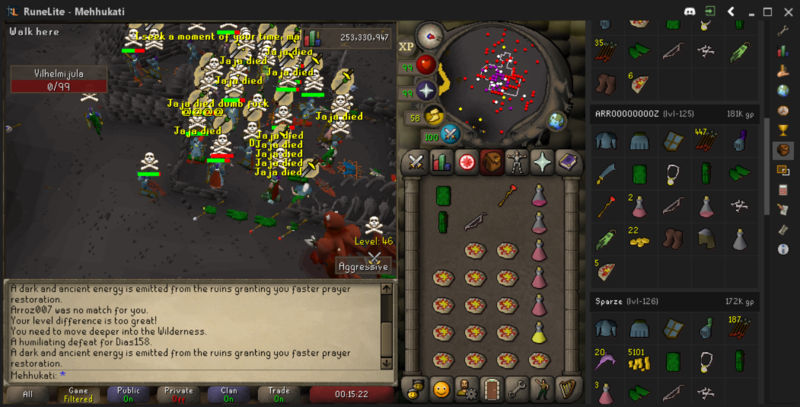 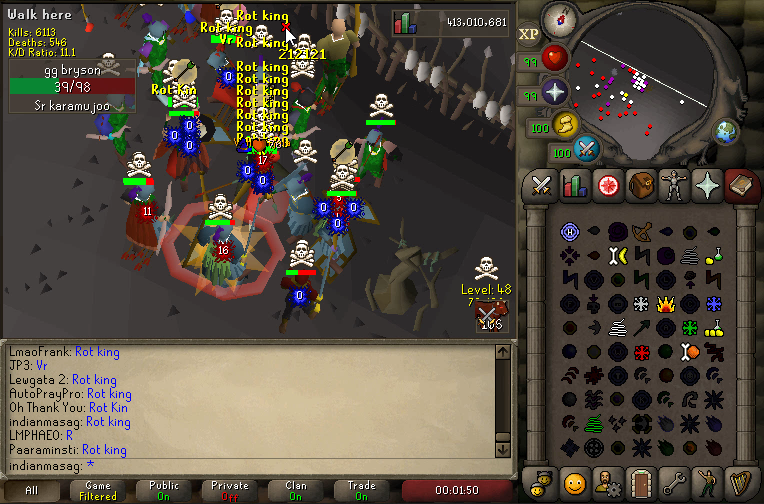 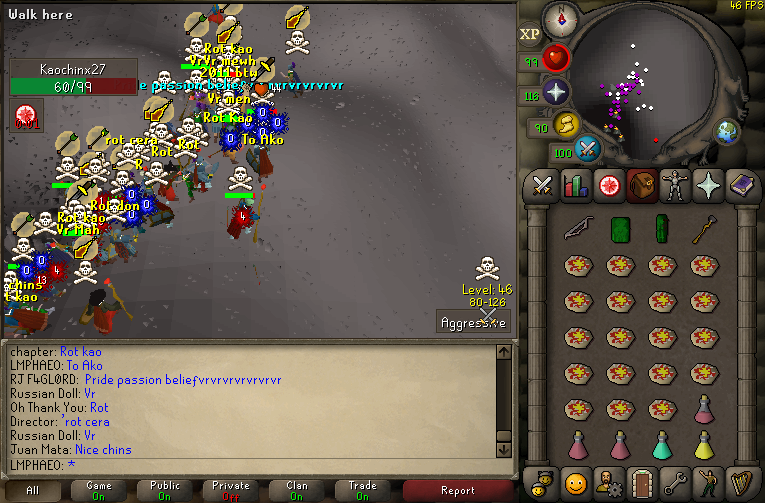 We quickly rebought our rune sets and massed up and awaited for VR to make their move. 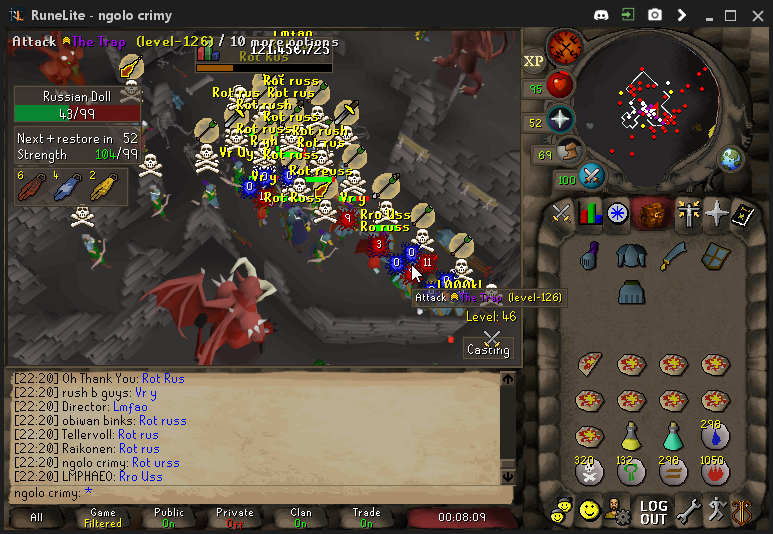 We hit VR on login on the first world and they instantly ran and logged. 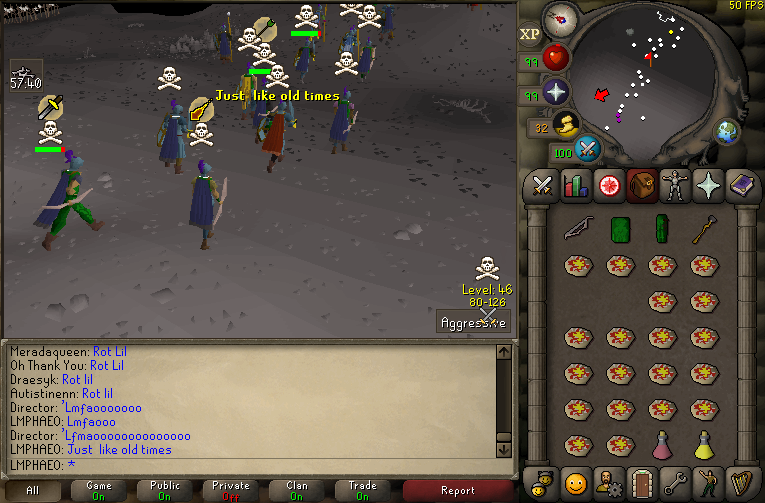 They took their time to regroup before they rushed us again at gap vents for Round 2. 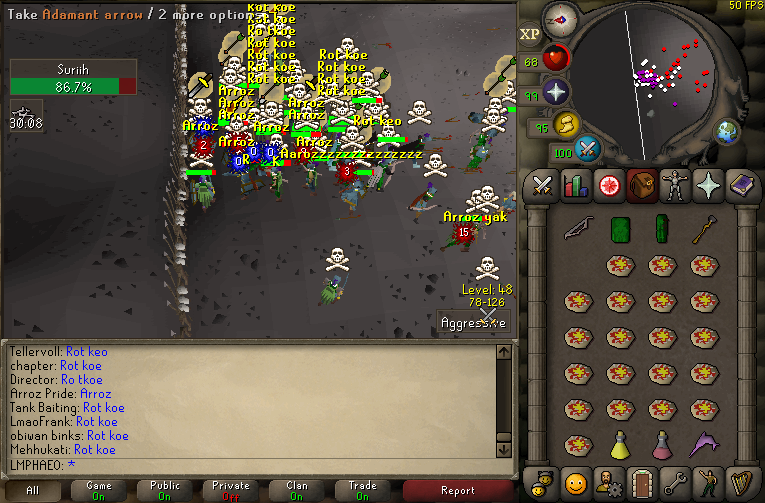 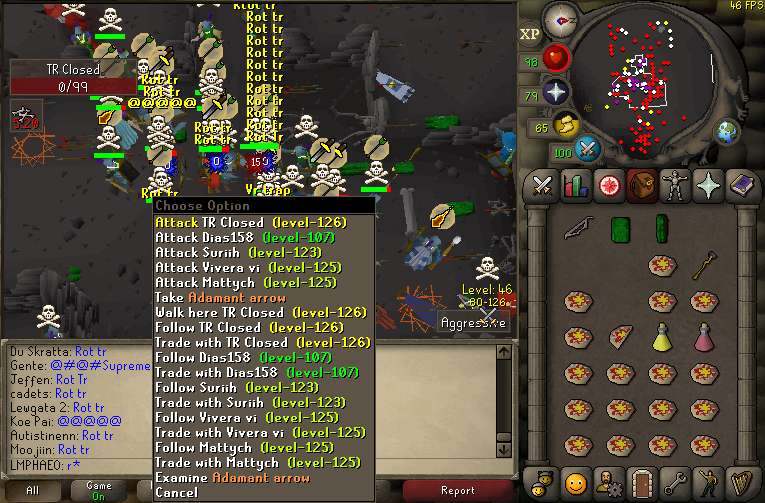 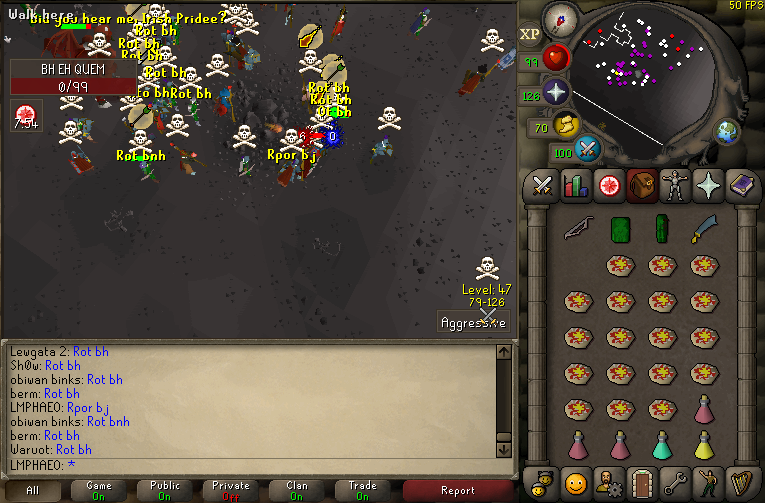 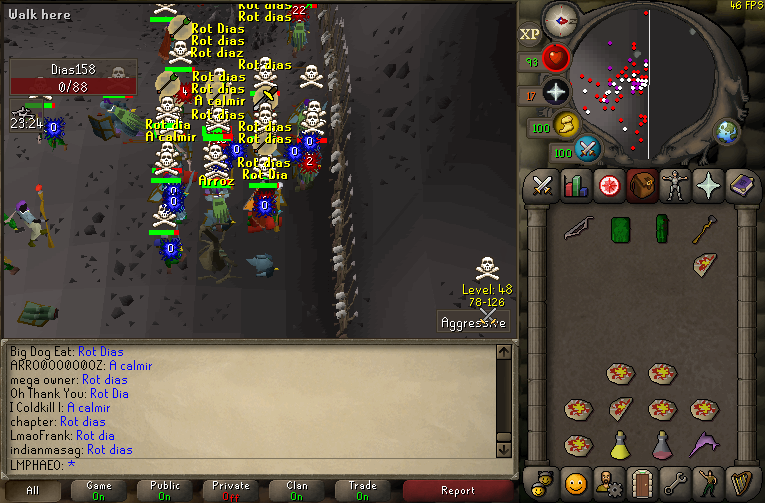 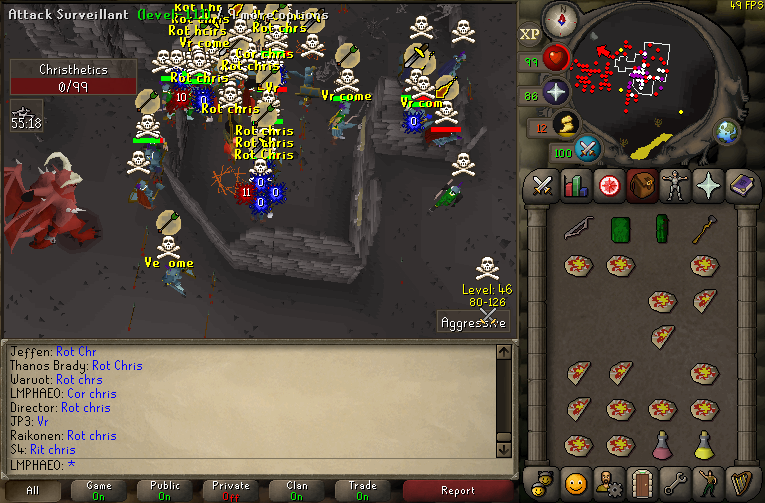 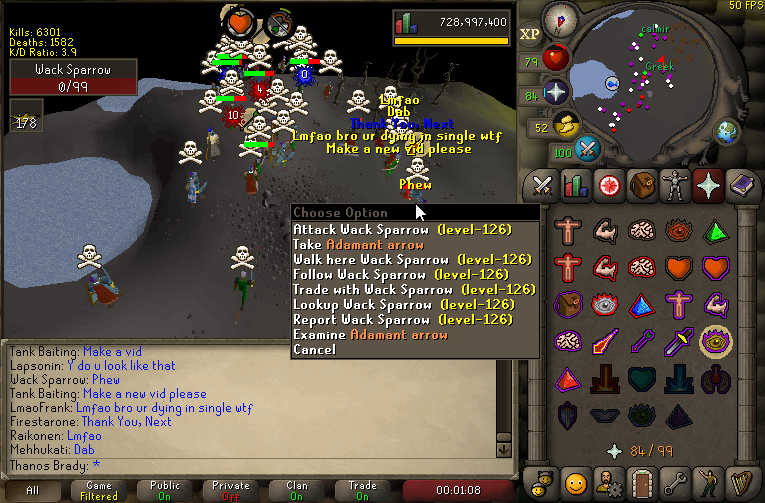 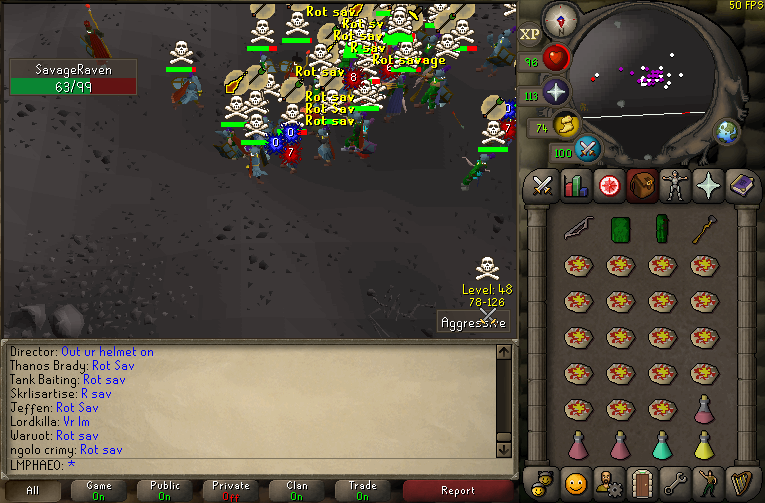 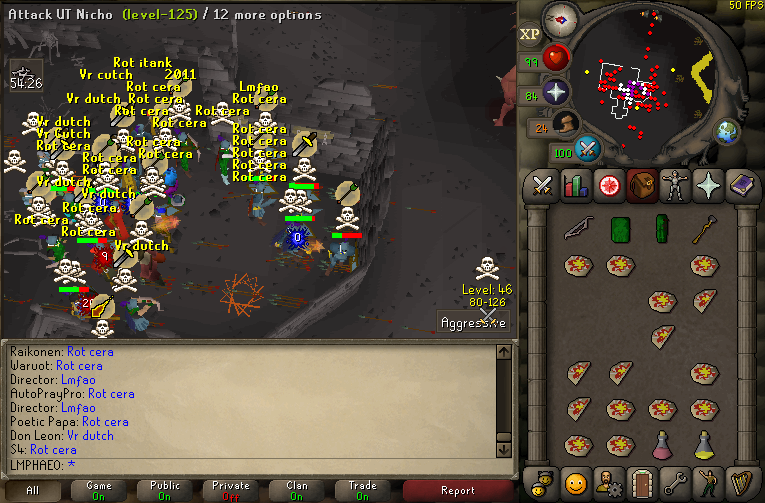 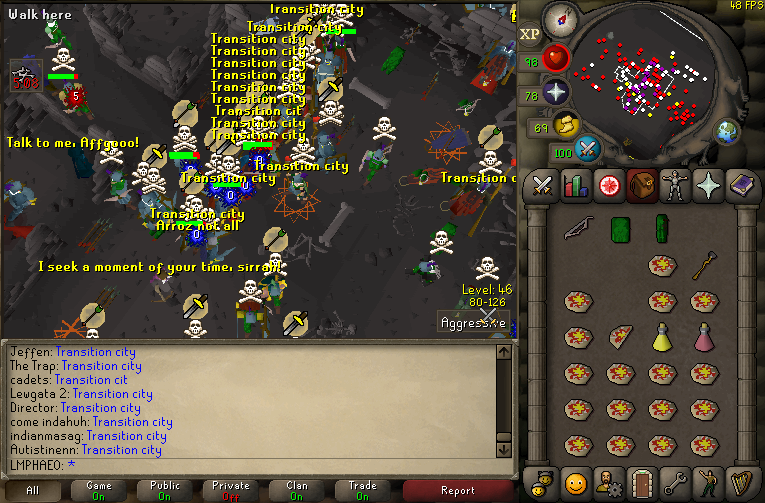 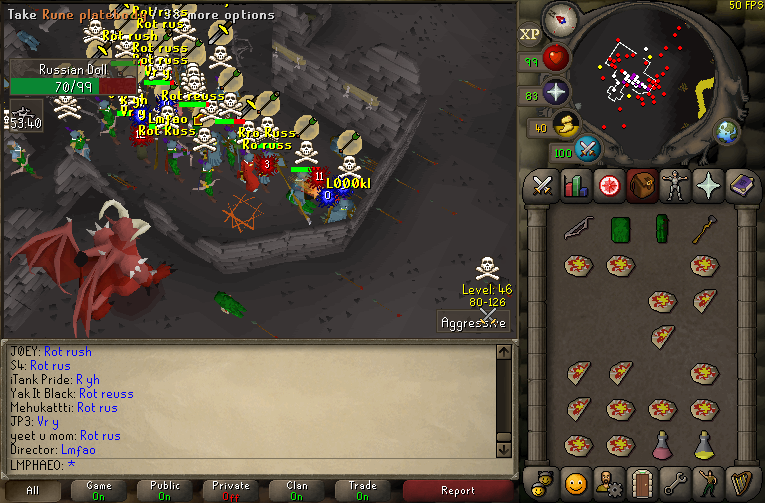 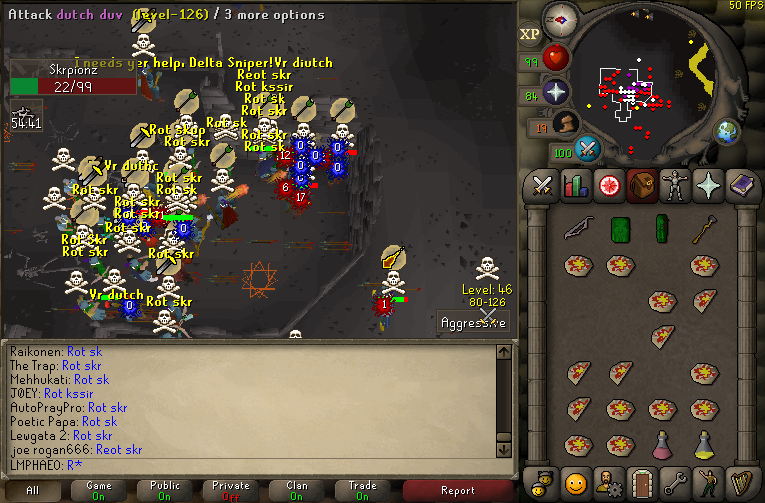 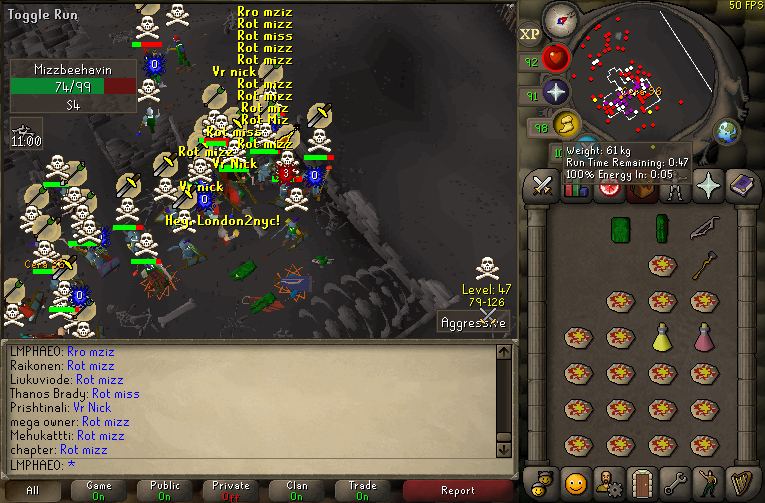 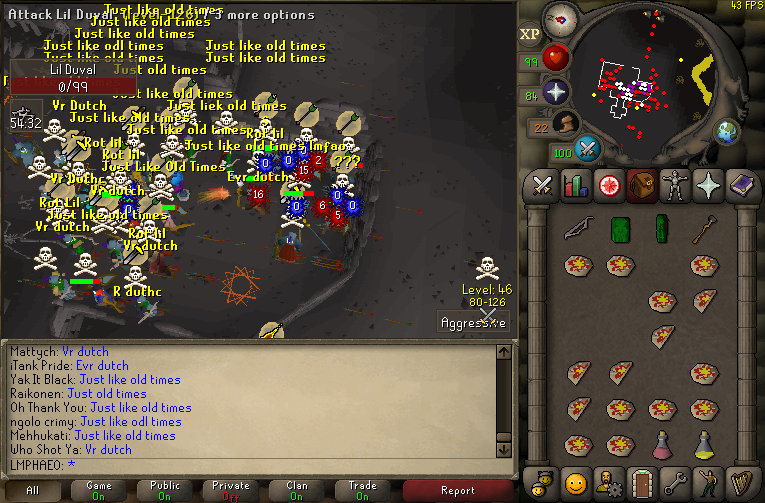 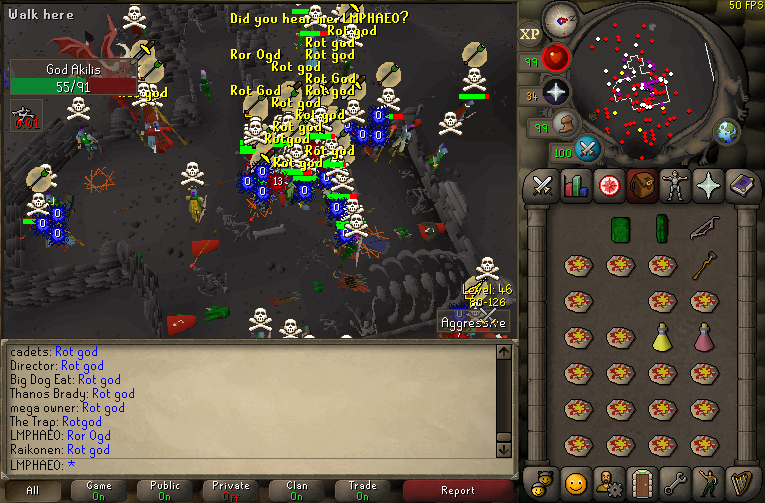 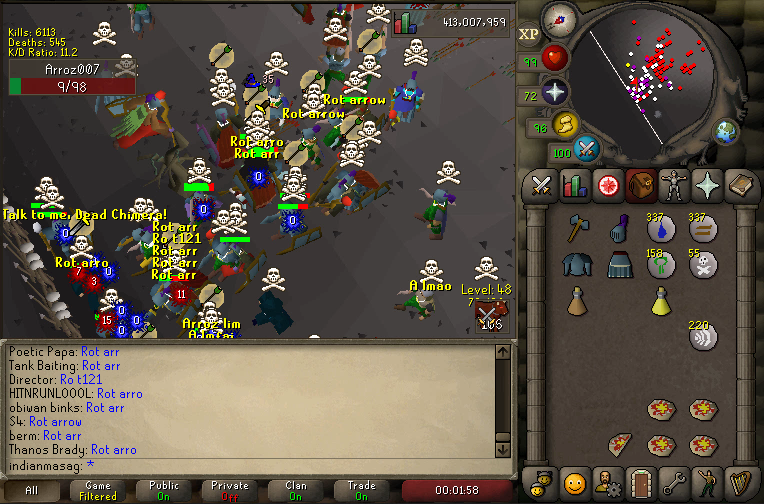 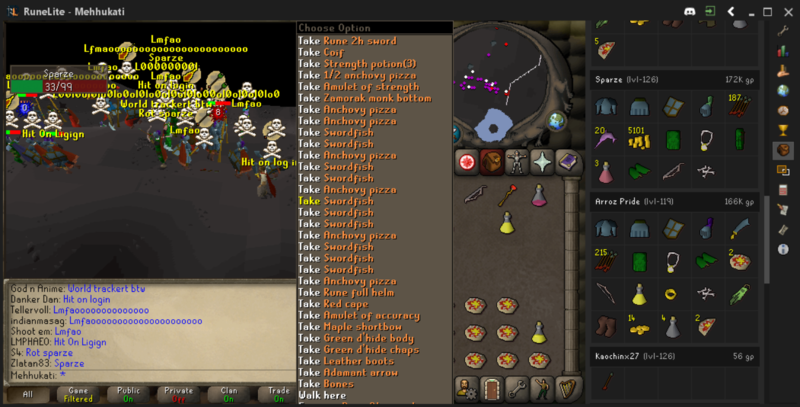 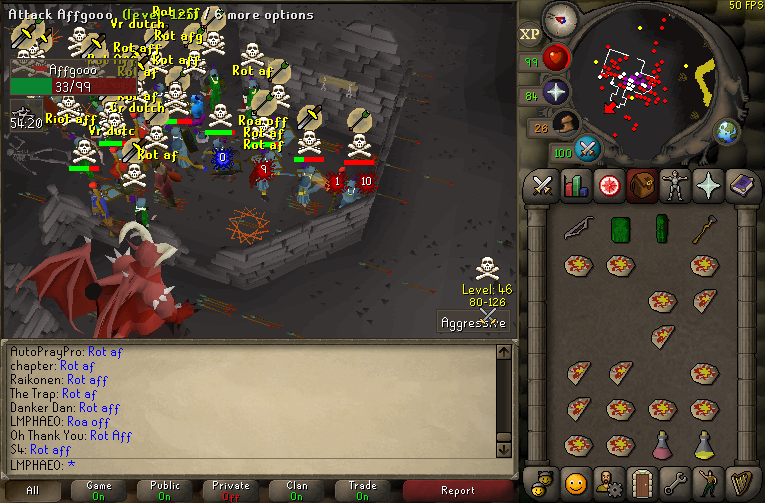 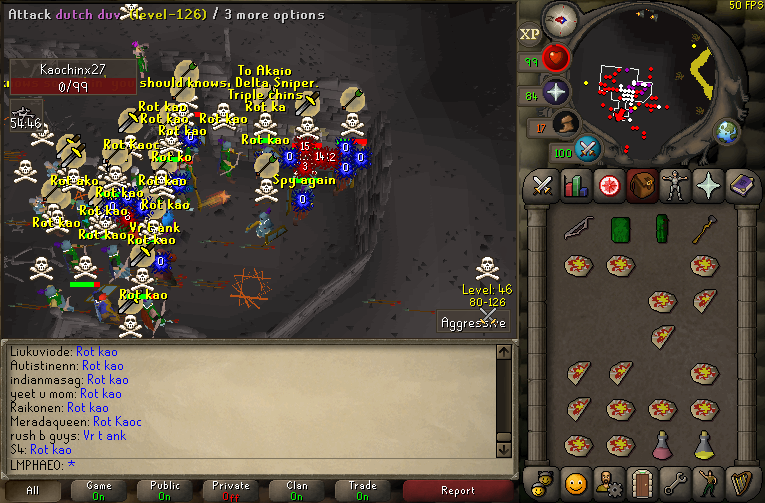 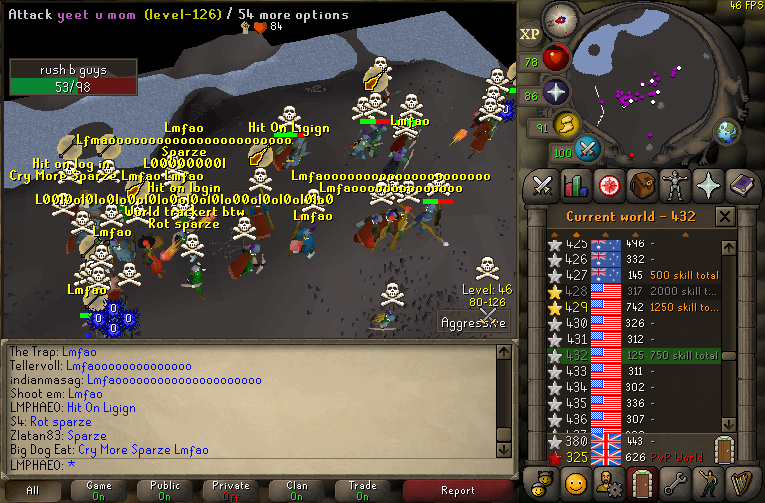 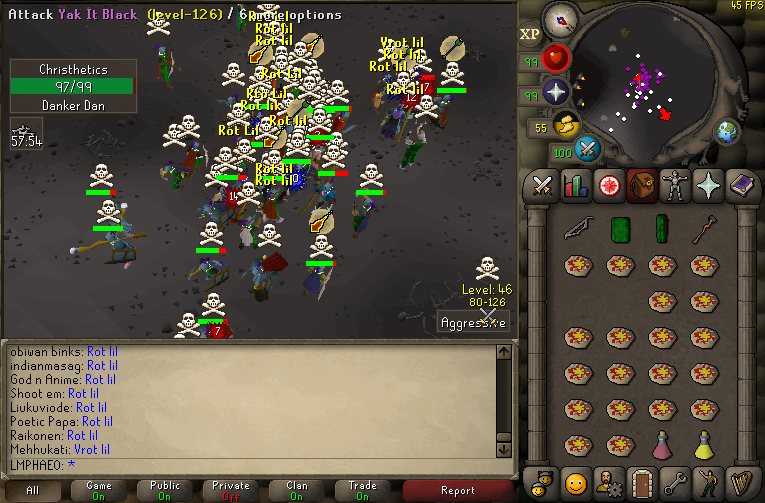 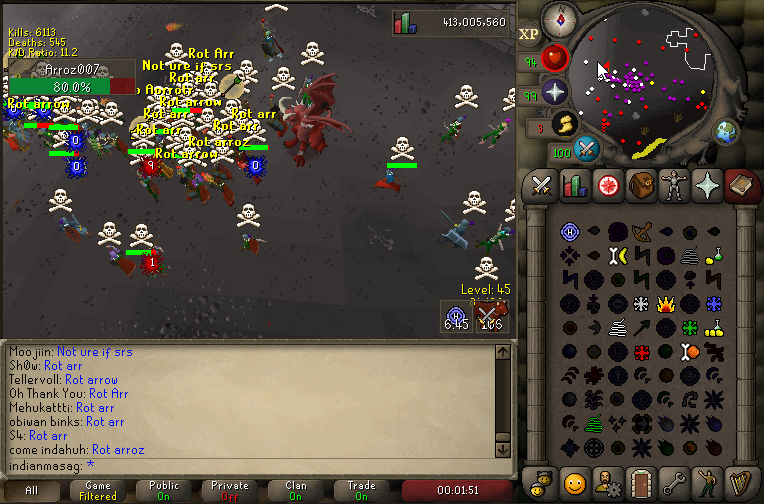 Within 10 minutes we sent them deathmarching to GDZ for a regroup. 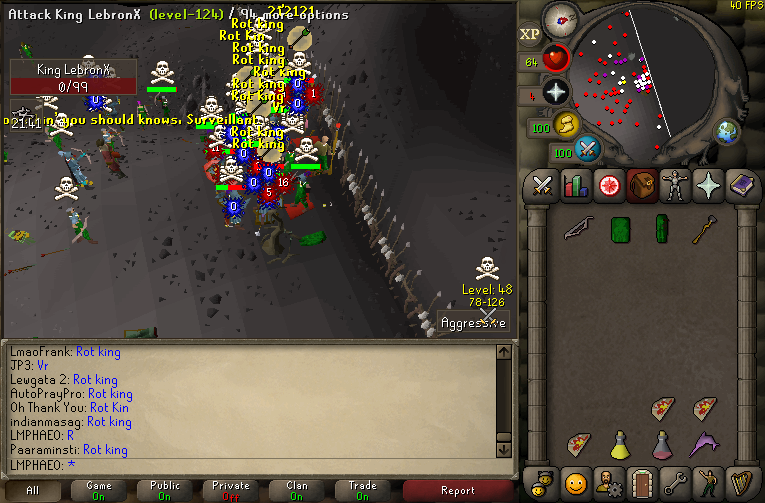 We chased their regroup and sent them running towards single where they logged from us. 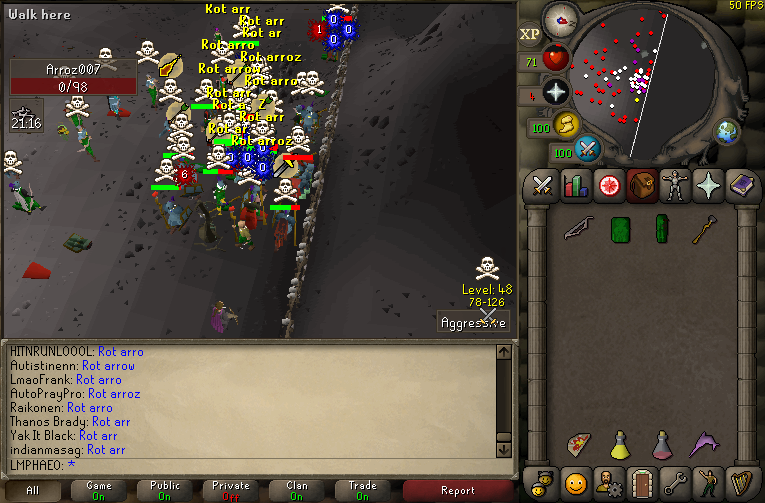 VR then contacted DK and Arroz to 1v3 us at East tree. 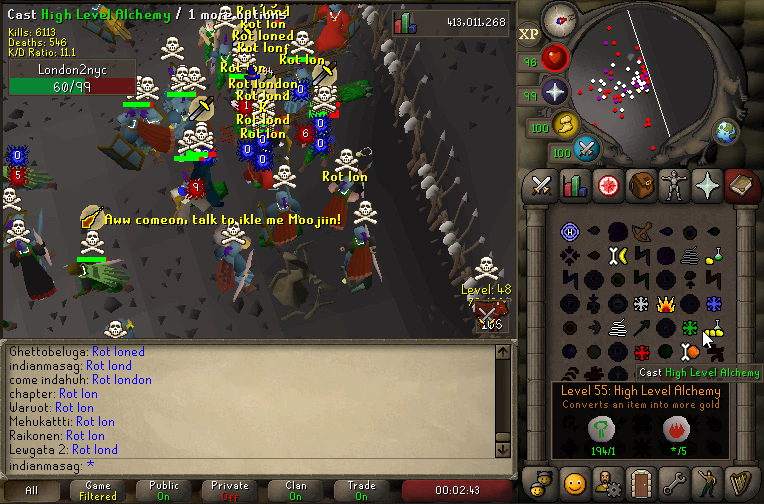 We awaited for them all to mass and began Round 3. 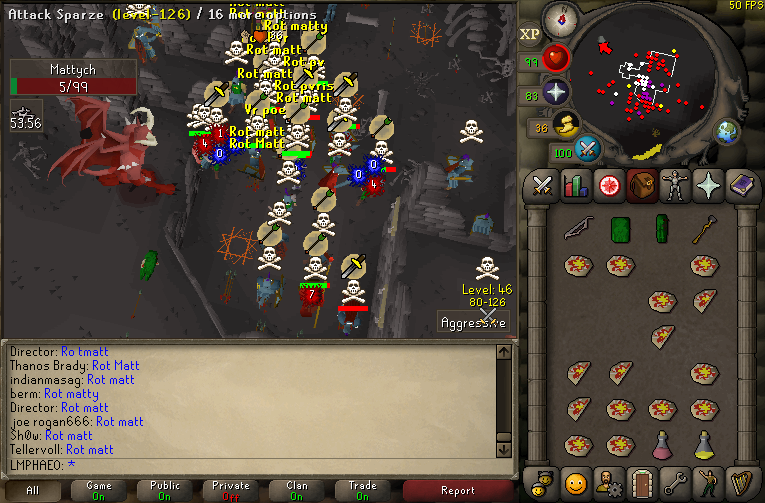 It was a clean 1 hour slaughterfest and all 3 clans were swiftly cleared off the map. 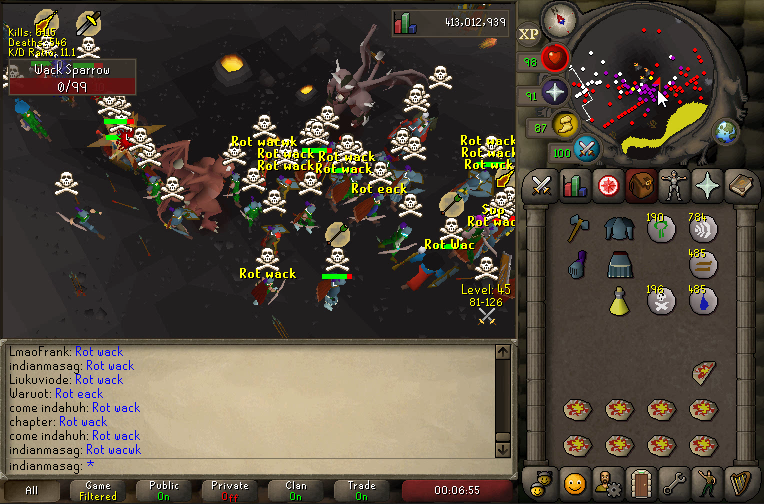 After clearing them we chased VR's regroups world to world until they ended. 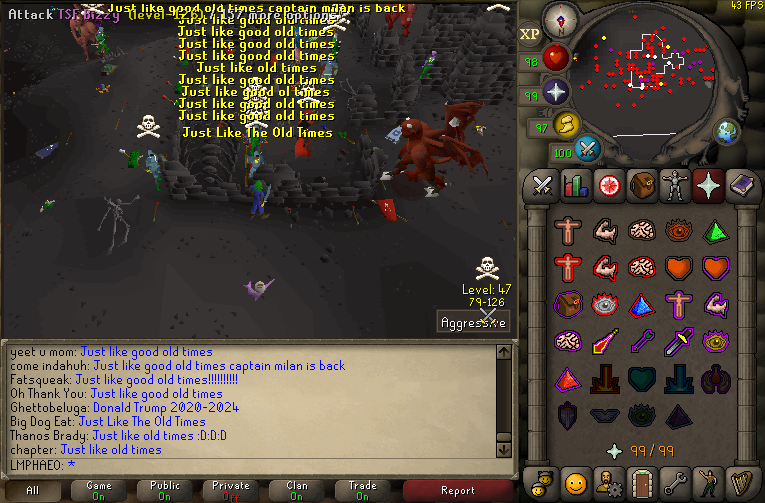 Just like old times VR, same time next week? 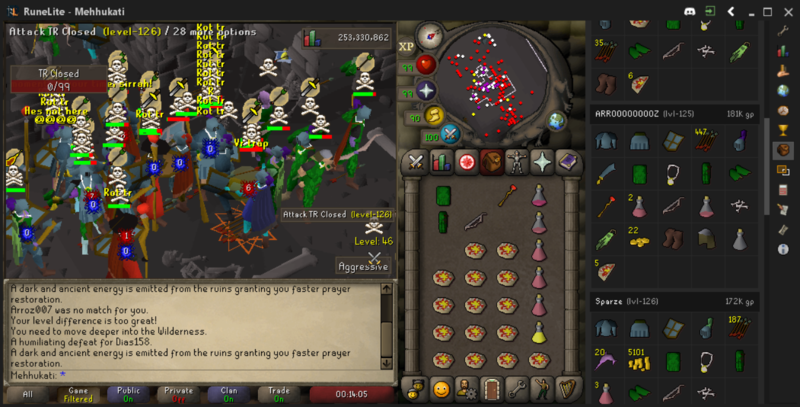 Felt good to kill vr agane.